Focusing on the technology of tomorrow and sustainability, Greentech 2019 aims to provide an overview of new innovative products and solutions, while encouraging new ideas and business collaborations to flourish. 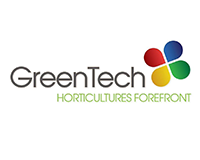 During Greentech 2019, Thrace Group will be showcasing a wide range of products for agri-horticulture, that the company produces and distributes in a global scale. Being produced in an eco-friendly way, the cost-efficient technical solutions of Thrace Group comply with the globally recognized sustainability frameworks and can be applied both in agriculture and in landscape architecture sites. For more info, visit us at Stand 12.512.